There are many older homes in St. Petersburg, Dunedin, Tarpon Springs, and Tampa that have tremendous potential but need significant work. 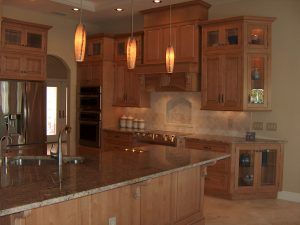 Silver Palm Custom Homes & Remodeling is not only a member of the National Association of the Remodeling Industry but we’re also a Certified Remodeler. This designation ensures that you are working with a remodeling company committed to adhering to a high level of standards, code of ethics, and level of excellence because we know building code, follow the law, and have excellent technical skills. We’ve worked on home remodeling projects throughout the area for many different reasons. Sometimes homeowners see the beauty and charm in an older home and want to keep the classic design but want modern touches. Those remodeling projects often involved installing new electrical, upgrading kitchens, and bathroom remodeling sometimes down to the plumbing. Other times a whole house remodeling project is needed because although the house has a great structure, the inside layout is dated or simply won’t work for a family. 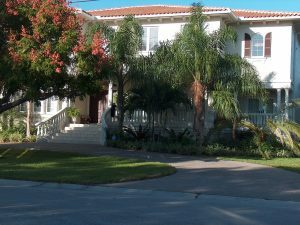 If you’re looking for a home remodeling company who can think outside the box to find the best solution for your needs, Silver Palm Custom Homes & Remodeling is the right company for you. Our experience as a custom home builder gives us the background and knowledge to make the changes you want and, with our expertise, we can ensure any home addition works seamlessly too. Another service we offer as a home renovation company is to help you after your home has suffered water damage as a result of flooding or fire. It’s never easy to start over but if you are faced with such a disaster, we can expertly renovate your space and make it better than it was before. We can present you with kitchen remodeling ideas and other possible changes that can improve the overall flow of the home.